Open Swedish Championship (SM) will be held during a very big event called “SM-veckan” in Söderhamn 3-5 febuary. Classes that can participate is Kitesail, Kitewing and Winterwindsurf. The course is just outside Söderhamn. Swedish television will film us and do a reportage. We will probably get a big audience that we are not used to. See map Spotguide Issegling for all places. Friday, Skippers meeting 10 A.M. First start 11 A.M. No sailing after 15:30 P.M.
Saturday, Skippers meeting 9:30 A.M. First start 10:30 A.M. No sailing after 15:30 P.M.
Sunday is Championship-backup-day or we compete in Swedish Cup. Skippers meeting 9:30 A.M. First start 10:30 A.M.
It’s reserved 30 beds from thursday to sunday. Notice it’s very difficult to get accomodation since everything is booked. First come first served. Cost is 400 SEK/ person for three nights (half cost). WISSA 2017 is coming closer and with usual Open, Hand held and Kite class, also Freestyle discipline is confirmed. Opening and first practise race is on February 20, 2017. You can find official schedule here. On February 25 and 26 as part of the competition, for the third time it will be held the festival «Zhiguli Sea. SNOWKITE Carnival» well known to all citizens and guests of Togliatti – the capital of the automotive. According to the organizers this event is projected to collect over 20 thousand spectators. After that the «SNOWKITERUSSIA 2017» project will be continued with the following events. 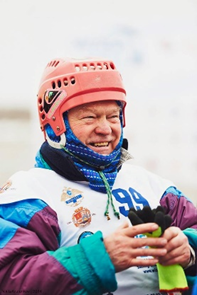 Immediately after the World Championship and the Festival, there will be events of not lower scale: multi-day expedition race for teams of snowkiters in self-sufficient mode «TRANSONEGO» and the festival «ONEGO» in Petrozavodsk. Both events are scheduled from 1 to 5 March. This kiting competition will be attended by more than 80 professional athletes from around the world, and the festival will bring together about 5000 residents and tourists. Welcome to the 4th annual International Windsurfing Iceboard Challenge hosted by Team Sweden! Official Facebook group and event location: Iceboard Windsurfing King of the ICE 2016, hosted by team USA, was a success. Dean Withrow – team USA was crowned ‘King of the Ice 2016’! There were 26 competitors from six countries represented, USA, Sweden, Lithuania, Estonia, Netherlands and Canada, making the King of the ICE competition truly international. Read Jeff Browns summery of King of ICE 2016 in the end of this invitation. Team Sweden will continue the tradition and for this year we have replaced the dicipline “Distance” with the all new dicipline “Nautical mile”. Our aim for this year is to attract even more riders from all over the world. The 36th WISSA World Championship will be held from February 8th to 13th 2016, on Gulf of Haapsalu, at the wonderful little town Haapsalu, Estonia. With the event we celebrate 40th anniversary of birth of this sport (Purisuusk). Start of Purisuusk in 1976 at Lake of Harku , Tallinn – 40 years a go. WISSA1991 event in Kabli – Pärnu – 25 years ago. WISSA 1996 event in Haapsalu – 20 years ago. Chief organizer Kalev Allikveer together with Estonian Windsurfing Association. WISSA 2016 official website is www.http://wissa2016.ee/ , please use it for registration. Best moves filmed this year, 2015, by Greg Lafortune, Benjamin Cadieux and me with our windski and windsnow. Enjoy watching it!